Saigon - or Ho Chi Minh City - is one of the most bustling and dynamic cities in the world, either for visiting or relocating to your next home. It is a land of ambition, dreams and opportunities, for Vietnamese and foreigners alike. Hyped yet? Saigon here we come! After many years in Finland, I moved back to Saigon from 2016 to 2018, then bid farewell to this home city of mine once again. Even though I was born in HCMC and raised there for 18 years, my compassion and impression of the city did not develop until I had the chance to leave. To be honest, after I moved back to HCMC in 2016, it felt like starting a whole new life, making new friends, getting a new job, and experiencing many new things. 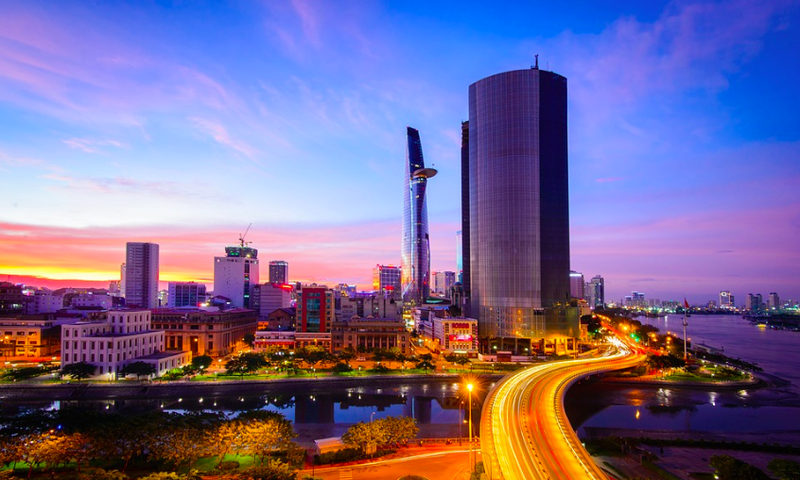 Saigon is dynamic and ever-growing, and so are its people, every day will never be the same, and the city never fails to take care of your needs. Before we start, I want to say that Saigon is a pretty easy transition from the western world. There are minor things that will be quite shocking, such as the crazy traffic, but everything is very easy and straightforward. If you want to experience a place that feels both new and homey at the same time, this is a great place for you. Saigon is the biggest city and the most important economical, educational, and cultural center of Vietnam. There are up to fourteen million inhabitants in this city, including a large amount of expats from all over the world. Being a melting pot of culture, there is nothing that you can’t find in Saigon. From masterful sushi to tasteful tapas and elegant French dishes, you will get what you desire, or if you are a drink-enthusiast, the number of craft beer venues and cocktail bars will certainly not fail any of your expectations. When you first arrive in Saigon, I recommend staying in an Airbnb or a hotel for one or two weeks to get familiarized with the city (and to do some research). Give your body a rest to recover from jet lag, clear your mind from uncertainty, and organize yourself a little bit. Saigon is a bit noisy, from the early morning with the chickens and the dogs, then the endless honking and the thumping construction. Once you are adjusted to the noise, things will be pretty normal (and you will miss all the noise when you leave). Before moving forward, it is important to check Sal’s complete guide about things that you should know before moving here including vital information about resident permit (visa), vaccinations, what to bring, and how to deal with your personal finances. This guide about mobile subscriptions in Vietnam will help you a lot also. Now let’s dig into some detailed information that will help you plan every aspect of your new life. 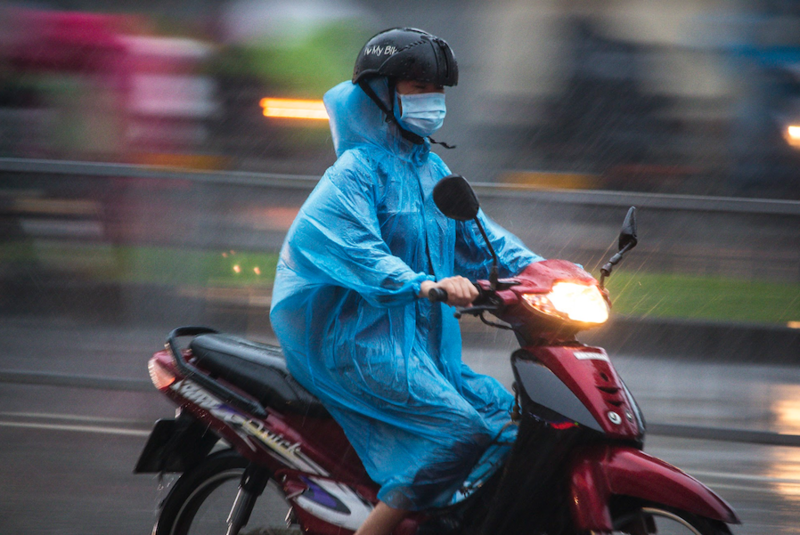 Saigon is located in a tropical monsoon climate, featuring a stable hot and humid atmosphere all year round. There are two seasons in a year: the dry season and the rainy season. On average, the annual precipitation is around 1,800 millimeters and there are up to 160 rainy days in a year, comparable to Florida in the US. The rainy season is from May to the end of October. The average temperature is 28 degrees Celsius or 82 degrees Fahrenheit, with minor fluctuations throughout the year. For the record, the hottest month is April, up to 40 degrees Celsius (104 degrees Fahrenheit ) and the coldest month is January, no lower than 14 degrees Celsius. Believe me, it is chilling to the bone in January because of the high humidity, and you will probably need a good air conditioning system in your flat during the summer. There are around 2,400 to 2,700 hours of sunshine in a year in Saigon (it’s sunny 30% of the time). It is not an exaggeration to say that Saigon is a paradise for food lovers. The city location is central, surrounded by fruitful and productive agricultural areas, and it receives imports from two major harbors of Vietnam – Saigon harbor and Vung Tau harbor. 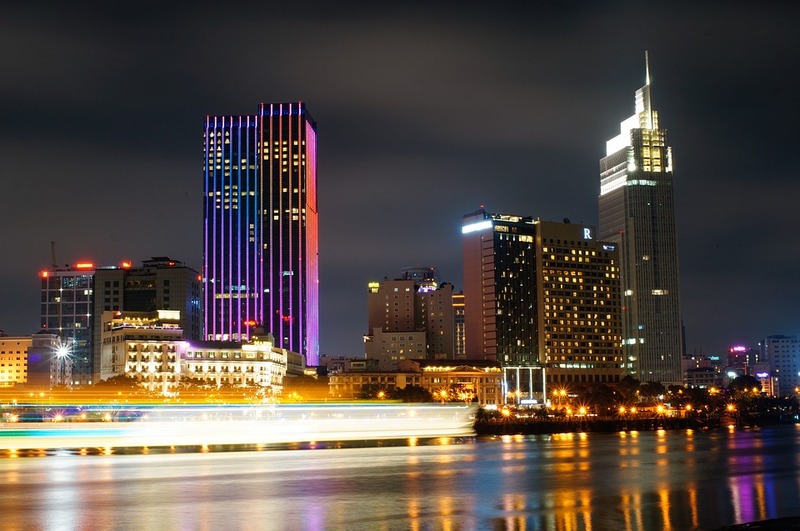 Therefore, Saigon is the most promising destination to live and to do business in the country, attracting people and cash flows from all over the world. Don’t forget to try bo la lot when you are in Saigon! Because of that, the city is a multicultural melting pot, featuring worldwide cuisines and interesting food and drink fusions. You can find specialty dishes all over Vietnam from the North to the South, for example, you will find most of the food from the north and the central of Vietnam in Tan Binh District. 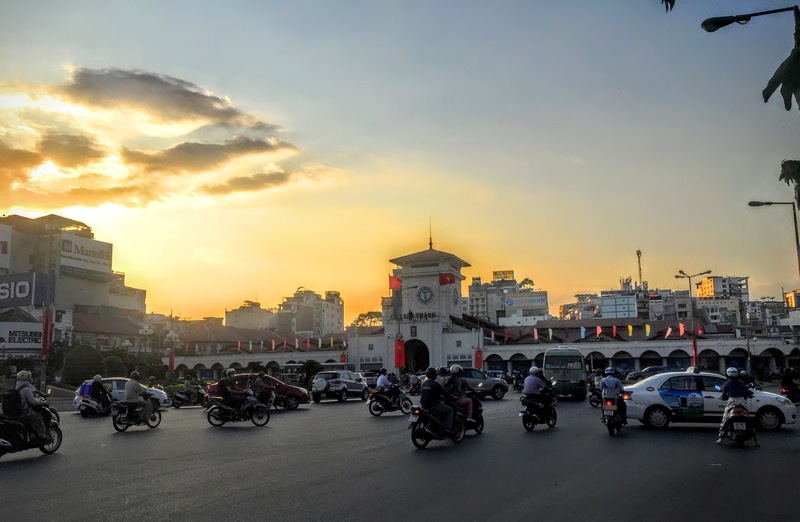 In addition, Saigon is a home to many authentic cuisines from the world due to its demography and history of development, such as the Cantonese in China Town, the Japanese around Le Thanh Ton Street, the Korean area near the airport and in District 7, and the western cuisine in D1, D2 (Thao Dien), and D3. – Fulfilling dishes (for a main meal): noodles, pho, hu tieu, bun bo, com tam, soups, banh mi, banh cuon, etc. Food that you will have for a whole breakfast, lunch, dinner or a late night hangover cure. Nothing better than a heart-warming bowl of hu tieu go or banh canh cua in the middle of the night after heavy drinking. – Desserts or sweet treats: sweet soups (Che), cakes, sweet pastries, tofu pudding with ginger syrup (tau hu), fruits, smoothies, etc. You will find these around every corner when in need of a sugar boost. No female white collar worker forgets to arm herself with a bagful of fruit for a day in the office. You will learn some Vietnamese, hearing those wandering dessert vendors chanting at a certain time of the day. Tau hu day… Me, xoai, coc, oi, trai cay tuoi day … and the infamous song from ice cream carts. – Snacks: banh trang tron, bap xao, hot vit lon, ca vien chien, goi kho bo, bot chien etc. I won’t share any spoilers and let you discover these by yourself. Your crash Vietnamese course will be learning about these foods. – Seafood and grills, especially snails (Oc). Always integrate these foods into a night drinking out with your Vietnamese friends or colleagues. Best served with local cold beers. Don’t forget to check this article to do a DIY food tour visiting Anthony Bourdain’s food vendors of choice. Or you can have a food discovery adventure with Onetrip to have a more insightful look at the local food scene in Saigon. 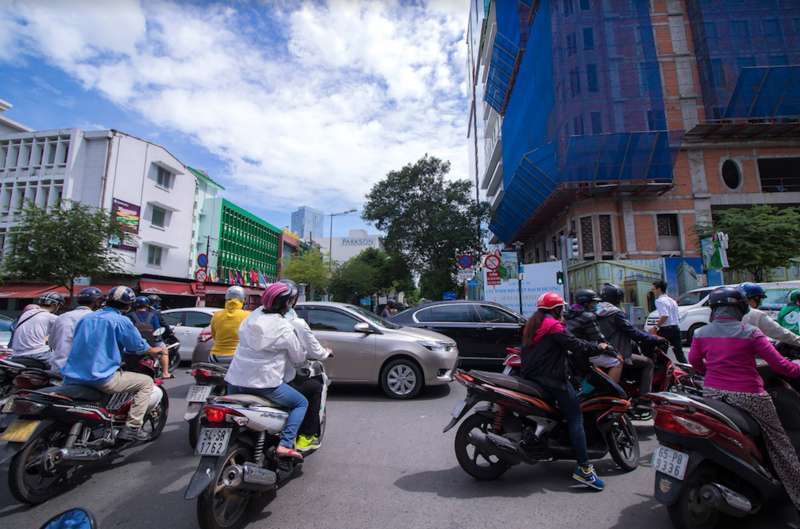 There are more than 8.5 million motorcycles and 700,000 cars in the city, and a more than 1,000 newly registered transports daily in Saigon. People rarely walk, unless it is no more than a hundred steps away. You won’t find it difficult to get a vehicle of your own, especially a motorcycle. 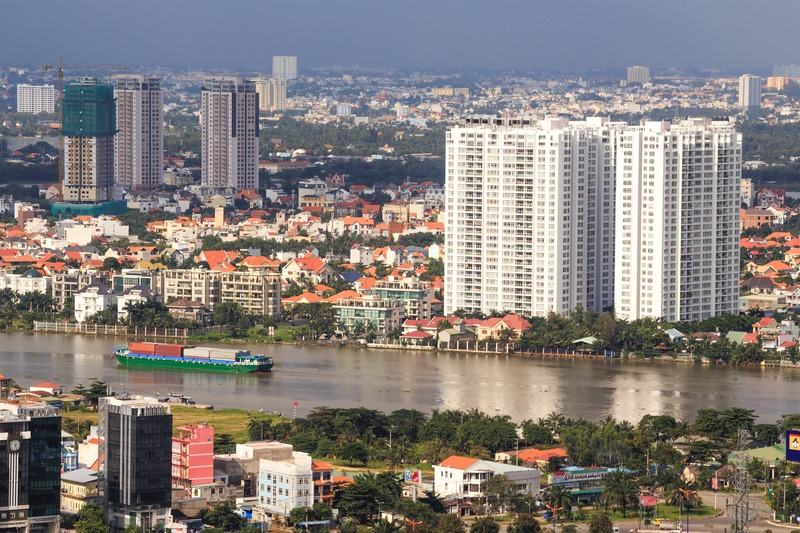 On the other hand, Saigon also offers a variety of convenient public transportation options, with the most popular being Grab, and the newest addition is the water bus on the Saigon river. Beware of the traffic jams during rush hours (7 AM – 9 AM and 5 PM – 7 PM) though, it will be faster by just going on foot. More tips about avoiding rush hour will come later. Once you got a hand on your own transportation, you may want to ride around and discover the districts of the city a bit and the surrounding attractions as well. To basically survive in Saigon, without any recreational activities, you will just need as much as 500 US dollars including rental fees (around 300 US dollars for the most basic private accommodation). When I was a bit younger, I earned around 250 USD dollars per month (I stayed with my parents but rarely ate at home), and it was enough to have three meals every day including morning coffee and some after-work snacks, pay daily petrol and smokes, drink cocktails and eat sushi every week, go to the cinema twice a month, and go on some occasional parties or hang out with friends. Saigon will not let you starve. – Accommodation rental: 300 USD ~ 1,000 USD (depending on the location, the dimensions and the utilities of the flat). – Petroleum (or transportation): 20 USD ~ 50 USD – if you have your own bike, it costs around 3 USD for a full tank and lasts around four days. – Eating out: from 10 USD per person for a meal. All-you-can-eat buffets start from 20 USD with hundred of dishes (Sumo BBQ for example). It costed me around 35 USD to invite my partner to a four-course dinner in a good Japanese restaurant, including drinks. – Drinking out: from 1.5 USD for a beer bottle and 8 USD for a good cocktail. – Going to the cinema: from 4 USD for a ticket. When the sun is down, there are even more things to do. Night markets, food streets, rooftop bars, craft beers, mixology cocktails, luxury dinners, and partying clubs. Turtle lake, Nguyen Hue boulevard, Bui Vien street, D7 Starlight bridge, D2 Vinhomes Central Park. I have spent 20 years in Saigon and there are even more destinations on my bucket list that I have not yet visited. Just eating out in all the good restaurants will take half of your life time, and even more pop up every day. Once I went out drinking in a Whiskey bar named “firkin” with my friend from New York, he stumbled upon his college friend from 10 years ago, now directing some businesses in Saigon and we had a great time sharing stories. Another day, my marketing crew and I went to a rock concert and joined in with some celebrities, drinking and partying our hearts out. And you will see some famous Youtube food vloggers filming on the streets any day, for sure. Such coincidences. Or is it just the attractive vibes of Saigon that connect people all around? This is the biggest question of all when moving to Saigon. Big cities usually come with accommodation issues. Everybody is moving here from all over the place, which means a high demand, therefore, there will be more problems and complicated processes if you don’t get it right. There are many accommodation options available, from a private flat in an apartment building, a bedroom in a local’s shared house, or even a shared room. Since there are a lot of inhabitants within a limited land, houses in Saigon are usually built high up, so they can fit more rooms and create more space. There could be no window if your room is located at the back of the house, and most of the windows have an inward metal frame to prevent thieves. Always remember to lock the doors and the windows carefully before going out. The most cost-effective housing solution is definitely getting a bedroom in a shared house. You might be a bit skeptical about this option but trust me, it’s fun! This is the best way to make some local or expat friends, and learn more about life in Saigon. Most of these houses are located in some hidden alleys, away from the hustle of the streets, and only there you can experience the peace of the city. What could be more heart-warming than hearing the birds chirping and the children playing out the window when getting up in the morning? Usually the process of getting accommodation is not that complicated and bureaucratic at all. Contact the owner/the landlord, set up a meeting to check your stay, get the payment done, and some registration with the local authorities, then move in. All of this takes no more than two days. More information about housing in Saigon is thoroughly covered in Tien Ly’s comprehensive guide about house rental here, it also includes the best districts to live in. Take the photos of the accommodation with a grain of salt. Always check the place on-site before making the decision. At the place, make sure all of the household equipment is working properly, especially the air conditioner. When checking the place, also have a walk around the area to know the neighborhood, nearby shops, supermarkets and most important, are you going to be fine and safe there? Head for short-term lease at first, around three to six months, as you will have more time to learn about the city and find your favorite location for a longer term stay. Is the electricity included in the rent or not? And is the rental fee feasible for you if the electricity is not included. Note that the most expensive bill in Saigon is the electricity bill (up to 50 US dollars a month). What should you pay on your own? On average, how much is the electricity bill per month? Can the bedroom be locked? How do I secure the windows? Can I get spare keys or where I can make extra for myself? How is the cleaning taken care of? How safe and secure is the house, the room and the neighborhood? Where is the closest supermarket, apart from convenience stores? How long have the house/the accommodation been available? How long have the housemates lived here? How is the deposit handled, is it possible to get it back when I move out? Unlike many western cities, a day in Saigon starts as early as 5:30 AM. That is when you get the most freshly cooked breakfast, let it be a sizzling grilled pork chop on your com tam, or a hot and crunchy banh mi. Breakfast street stalls and also some eat-in vendors run out of food as soon as 8:30 AM. So does the local fresh markets. That’s why you always have to be an early bird to get the best eats. After a big and fulfilling breakfast, you’ll need coffee. But hold it right there, you should head straight to your workplace to avoid the rush hour that lasts from 7:00 AM until 9:00 AM. Get to where you need to be, then coffee comes next, that is the best way. Cafe sua da for 15,000 VND at the corner near your workplace will suffice (and it’s surprisingly good!). If you want a fresh smoothie or energy drink, they’ll have that too. Pay a short visit to a nearby combini (convenience store) to shop for some snacks for a working day also. If you opt for better choices, have a look at this article about the best coffee shops in Saigon. Localized coffee chains like The Coffee House or Highlands have good options also. Starbucks are a bit overpriced and not too popular in Saigon. Usually companies in Saigon allow for up to two hours of lunch break, falling between 11:30 AM to 1:30 PM, allowing many options that suit your desires. You can either order lunch online from various delivery services, stay back and get necessary stuff done or just hang out with your colleagues, socialize and discover new lunch dishes, or you can even rest a bit in a peaceful coffee house before starting your afternoon work. From 5 PM to 6 PM is usually when you get off work. People of Saigon don’t usually head straight home but hang around with friends for a while, going to grab coffee, or eat some street food. Since it’s the second rush hour of the day, you will not want to be stuck in a traffic jam and get bombarded by the noise and the smoke of a million motorcycles. So my advice if you live far away from your workplace is to stay in somewhere until 7:00 PM. Maybe have a fresh beer from the tap, or a nicely crafted cocktail. For dinner, there should be many supermarkets around your living vicinity, for those who prefer cooking at home. If you are up to discover more about Saigon, we have a hefty amount of articles that cover every aspect from food and drinks to culture and points of interest, just check them here. It’s not all about working right? There are a lot of destinations around Saigon for a weekend holiday and the whole Vietnam for a hard-earned vacation! Get to Know More about Saigon with Local Friends! Overall, this city is home to many once-in-a-lifetime experiences, and you may not know where to start. I recommend hopping on the back of the bike of local university students to learn and exchange stories about the city via the student-volunteer city tour organized by Onetrip. Make some friends! Or if you even want to learn more in-depth information about the city, and more aspects of the local life in Saigon, Onetrip’s experienced tour guides will take you on a paid adventure to find more hidden gems, more unique experiences that only those who truly love the city would know. The food scene is a bit overwhelming as well. 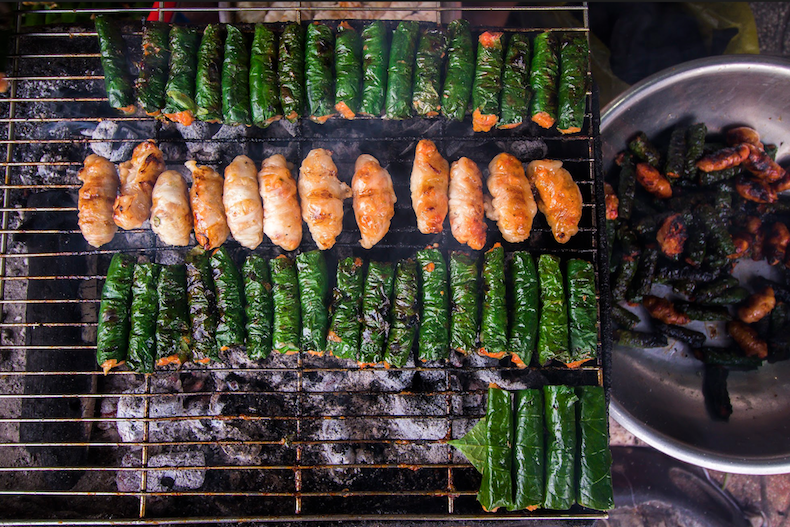 Don’t know where to have the best local street food? Onetrip’s all-included Evening Food Tour has you covered and your stomach filled! That’s all I have to share about starting a new life in Saigon based on my own experiences and some interesting information I got from friends around the world who actually have settled down in Saigon, either long-term or short-term. I truly hope this guide to settle down in one of the most dynamic cities in the world will provide answers to many issues that you may have, and those extra tidbits that may calm your concerns. Follow us on the Christina’s Blog and check back every week for new content that will keep you busy exploring Vietnam!